TORONTO, OH- If you’re new to YSN’s softball coverage, there’s one thing you need to know: Lisbon is really good at playing softball. Five hits from Justyce Vrable, and four hits from Kenedy Vrable helped lead the way for Lisbon over Toronto 20-7 on Tuesday. Lisbon grabbed an early lead when they scored on a walk by Mya Emmerling with the bases loaded in the first inning, a sacrifice fly by Kaity Clark in the first inning, and a double by Justyce Vrable in the second inning. In the bottom of the first inning, Toronto tied things up at two when Kinsey singled, scoring two runs. Lisbon tallied seven runs in the third inning. Blue Devil batters contributing to the big inning included Clark, McKenna Dailey, Taylor Deland, Autumn Oehlstrom, and Emmerling, who each had RBIs in the inning. Emmerling was credited with the victory for Lisbon. She allowed seven hits and six runs over three innings, striking out three. Emma Thompson threw four innings in relief out of the bullpen. Anderson took the loss for Toronto. She went four and a third innings, allowing 14 runs on 15 hits and striking out three. Lisbon launched one home run on the day when Justyce Vrable went for the long ball in the fifth inning. 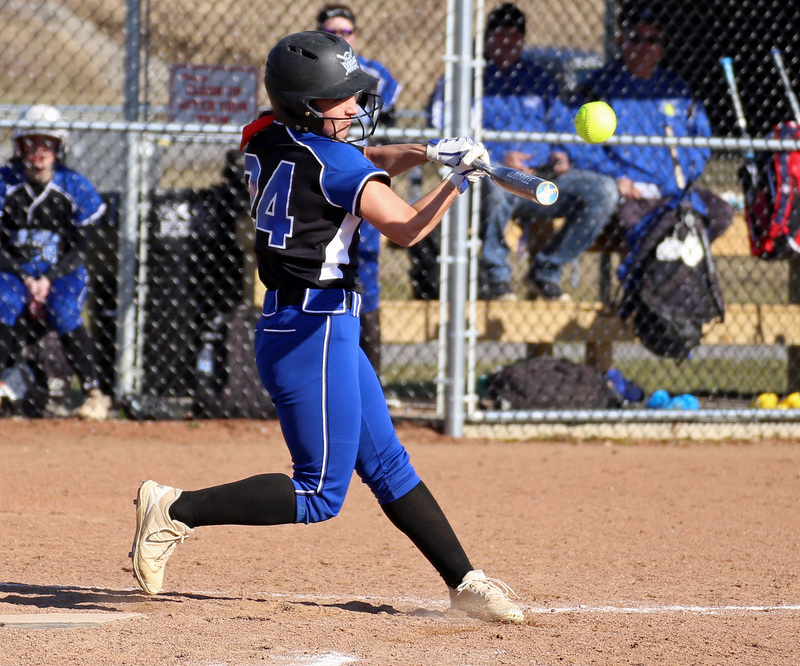 The Lady Blue Devils racked up 21 hits on the day. Vrable, Kenedy Vrable, Clark, Emmerling, Oehlstrom, and Deland all collected multiple hits for the Blue Machine. Toronto tallied 11 hits. Anderson and Kinsey all managed multiple hits for Toronto. Anderson went 3-for-4 at the plate to lead Toronto in hits.